Right before Christmas last year I went to the feed store to buy chicken feed and I saw a sign that said “all fruit trees half off” I really thought they would be half dead, but they were actually great trees, the store was just trying to reduce inventory before the end of the year. So, I bought a Meyer Lemon tree and a Satsuma orange tree. Then I went back and bought several more orange trees to give as gifts. We planted ours in molasses tubs that we got at the feed store for $3 each so that we can bring them in if it gets too cold. We have them out by our blueberries. 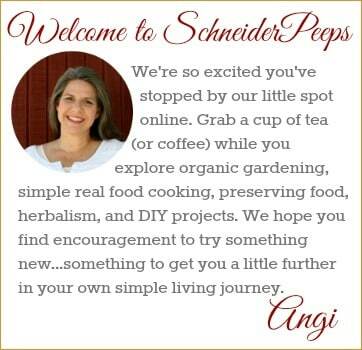 We call this area “the orchard” because it makes us (me) feel like a real homesteader. Water frequently, esp. during summer. If in a pot, soak the soil and then let it dry out before watering again. We’ve struggled with this this summer and our Satsuma is drying out faster than the Meyer lemon even though they are planted the same. 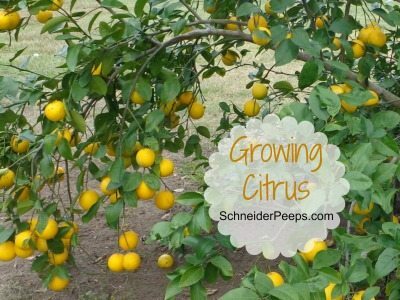 Fertilize with a citrus fertilizer a couple of times a year. 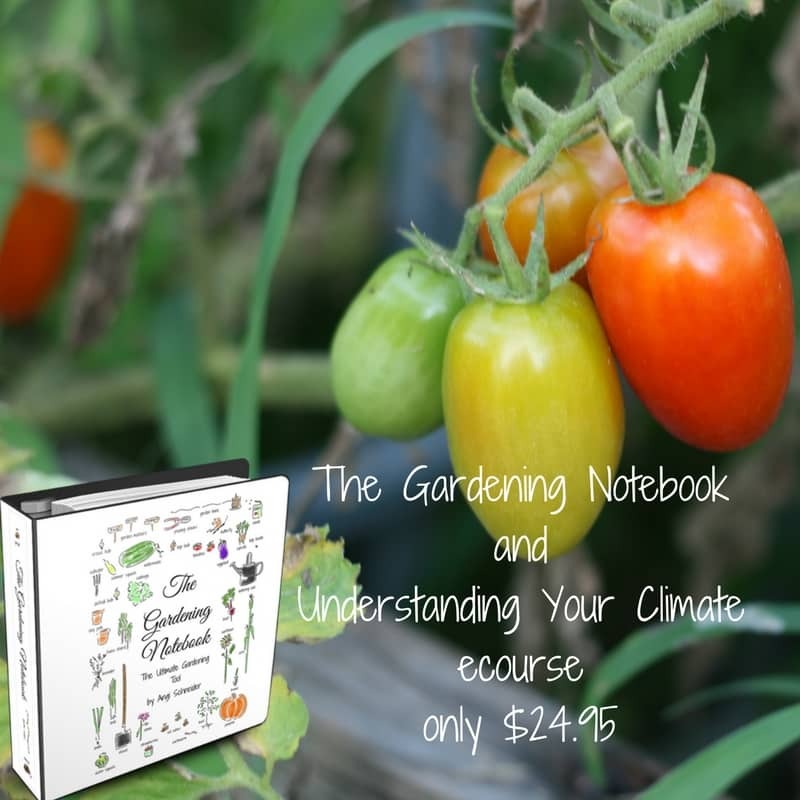 Once in summer and once in winter – there are two different types of fertilizer. Thin fruit if tree becomes too heavy – this has not been a problem for us as we have 7 oranges and 6 lemons. So far we’ve haven’t had any trouble with the citrus. Some of the orange leaves are turning brown, but I think it’s just from the heat and lack of water. I’ve been watering twice a week but I will now be watering every other day for a while. I think our fruit is on the small side but again I think its due to the drought issue. 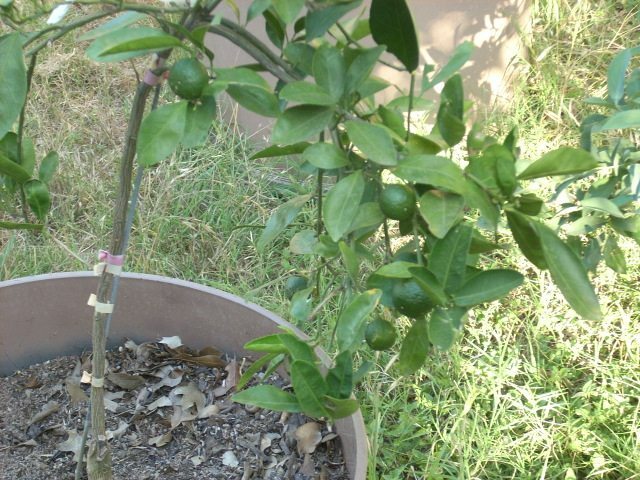 If you have any tips for growing citrus, please leave them in the comments. 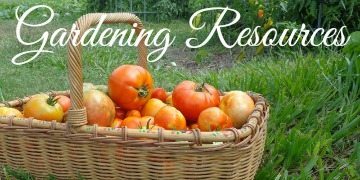 To see other great gardens, visit Tuesday Garden Party and Homestead Barn Hop. How wonderful to have your own “orchard”. I bet your place looks great. Well, at least when the garden is in full bloom. I dream of the day we can do the same. Large garden, fruit trees, chickens…yep, some day. Thanks, Rachel. Right now we’re renting but we’re working on finding just the right place for us and all of our “hobbies”. All in God’s timing! I’ve got the same two trees you do and they look very healthy but only one has flowered but no fruit came. They are 3 years old. Is that too soon to fruit? 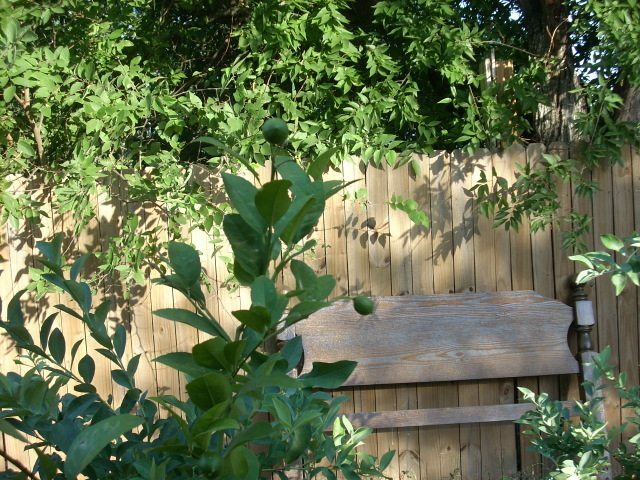 Fruit trees will often not fruit the first year they flower. Citrus can certainly produce a few fruit by year three but it will only be a few. When they bloom do you have bees coming around? If not, you might try hand pollinating the blooms by using a small paint brush and brushing the inside of each bloom. Hope this helps.